My mama readers ask me now and then if my kids have chores and if I reward them for doing their chores. Here's the answer: My kids have chores. 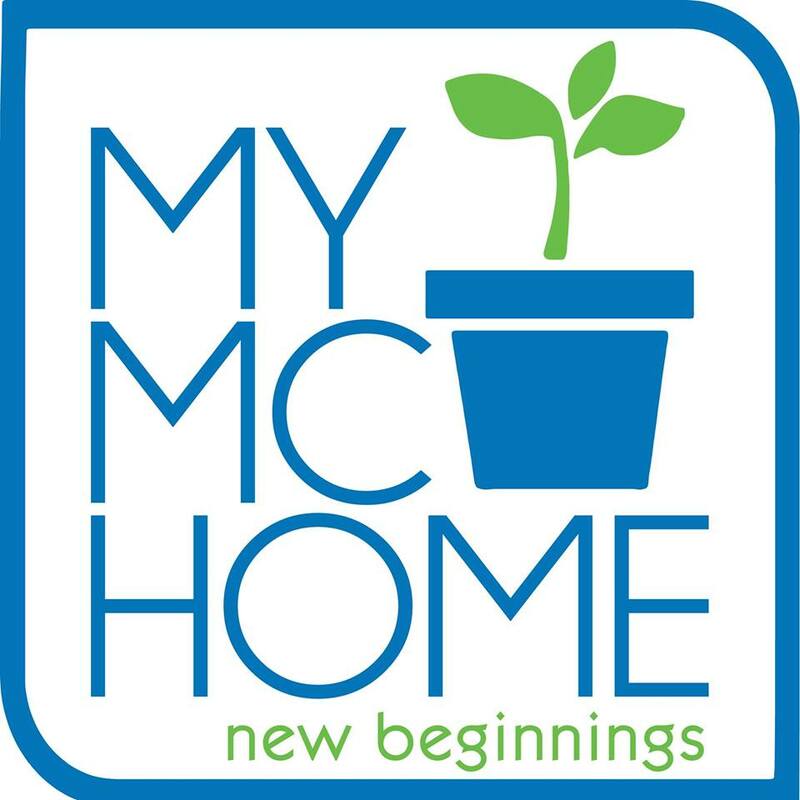 Since they're still young, their chore list isn't long, just the usual (make your bed, pack away your toys, help set and clear the table, put away your shoes). For chores, they don't get rewards. For doing homework, no rewards, either. We believe that kids shouldn't be rewarded for things they have to do. But for things they don't have to do but do anyway (like shine shoes that aren't theirs, wash the car), yes, we reward them with either money or treats. When summer came, however, I relaxed my rule on no rewards for lessons because they shouldn't be studying anything during their holidays! Still, I bought a few math books (multiplication and division for Vito, addition and subtraction for Iñigo, numbers and shapes for Piero) and assigned 30 minutes for review per day. Of course, not one child wanted to study, but because I offered treats for every session they completed, they happily did their lessons! The treats? 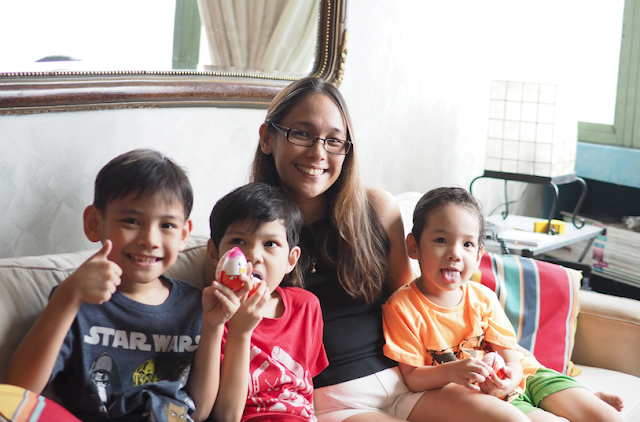 I gave them their favorite Kinder Joy eggs! I like Kinder Joy because it combines an edible product made with high quality ingredients on one side and exciting toys on the other. Yes! Two-in-one treat! And the third aspect I love about it is that the toy is a surprise so the kids are always excited to open a Kinder Joy egg and discover what's inside. Two wafer balls in a bed of cream! We started buying Kinder Joy more often last year, when our littlest boy turned 3. Since the toys are tiny, we waited till Piero was old enough to know he's not supposed to eat the toy. Now all my kids are thrilled that Mama gets them Kinder Joy. There are over 90 toys to discover so it's a fun project for the entire family every time the boys open one. (In our case, we open three eggs in one go!) Yep, Mama and Papa participate because the toys inside have to be built. The kids love putting together the toy, and we help them with the instructions and sometimes we show them how the toy works. Now that our eldest is 7, he helps his little brothers, too, so that makes me extra proud. The toys really make them think, be creative, and play together. And let's not forget the other half of the egg—the snack! 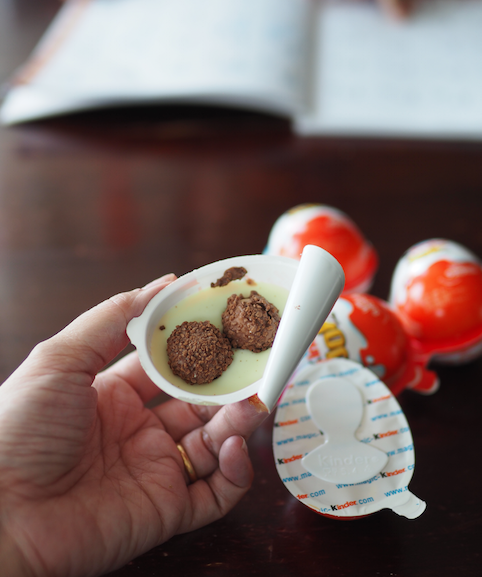 Kinder Joy has two crispy wafer balls nestled in two creams: milky cream and cocoa cream. 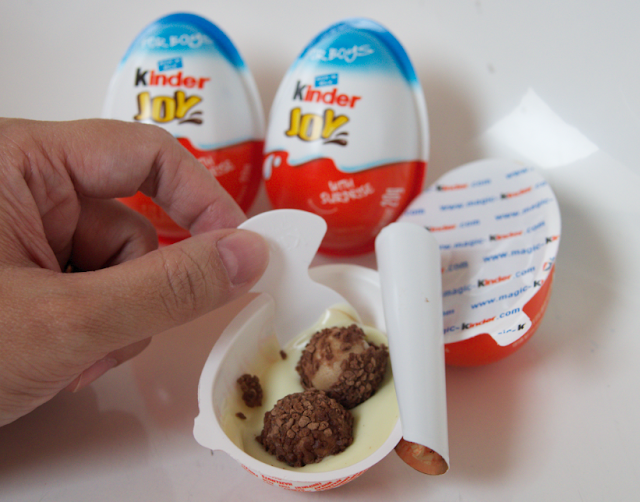 I actually have eaten Kinder Joy and can attest that it's delicious. Kids are happy with anything sweet but I'm super maarte and to be honest with you, very few candy, chocolates, desserts and pastries pass my taste test. So my kids hate it when I say “no” to requests for sweet stuff simply because their Mama says, "Not that. 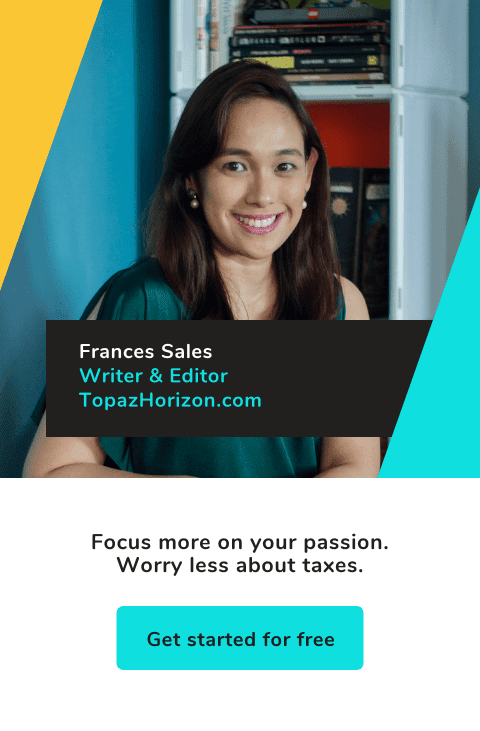 Hindi masarap 'yan." You can bet they're beyond delighted that Kinder Joy passed my test! 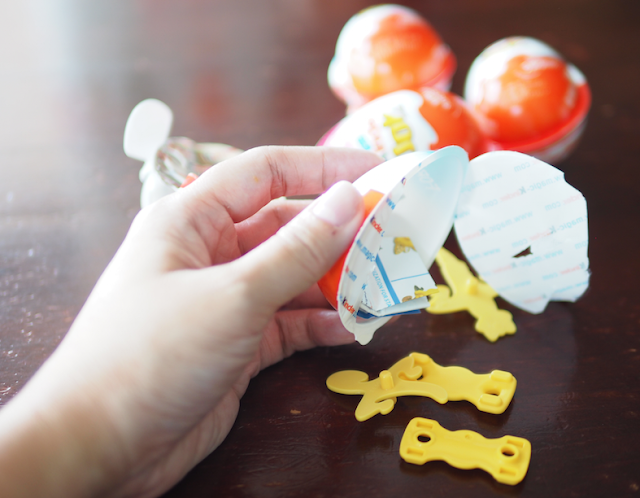 In my family, we like Kinder Joy mostly because opening the egg delivers a yummy snack (in a controlled portion, too! ), a toy that stimulates their mind, and moments of fun family bonding. Great mom find! I really like this snack! *This post is brought to you by Kinder Joy. I love kinder joy too! yan tlga gusto ng kids ko! very excited sya palagi mgbukas nyan kasi bukod sa yummy na she's always looking forward sa toys!